Buone nuove per il mondo Linux (badate bene, ho messo Linux e non GNU/Linux apposta :D). 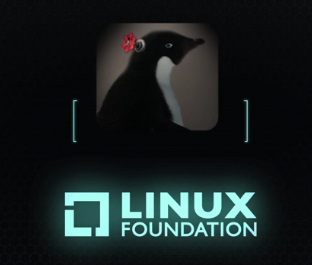 Valve entra a far parte della Linux Foundation! L'annuncio arriva a seguito della scelta di Valve di lanciare Steam OS, un sistema operativo Linux (non basato su Ubuntu) che equipaggerà la Steam Machines e che potrà essere installato da tutti i pinguini. Valve is well-known for its award-winning games and Steam, a leading software distribution platform with more than 65 million active accounts. The company recently announced the SteamOS, a Linux-based operating system that will power its Steam Machine living room devices. “Joining the Linux Foundation is one of many ways Valve is investing in the advancement of Linux gaming. Through these efforts, we hope to contribute tools for developers building new experiences on Linux, compel hardware manufacturers to prioritize support for Linux, and ultimately deliver an elegant and open platform for Linux users,” said Mike Sartain of Valve. Valve con questa mossa intende aiutare Linux cercando di obbligare i produttori di hardware a dare priorità al supporto per Linux.